Oil prices will keep rising, says billionaire investor Richard Rainwater - and he's putting money on it. 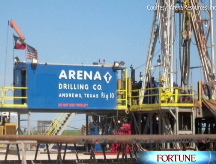 Investor Richard Rainwater sold when oil was at $129 a barrel. Now he's buying. NEW YORK (Fortune) -- Back in May, when oil was at $129 per barrel and rising, billionaire investor Richard Rainwater did something as prescient as it was shocking: He sold off all the energy stocks he owned. Now he's making another bold move: He's betting on oil again. A few weeks ago, when the price of oil tested a low near $90 per barrel for the first time in many months, Rainwater decided that he had found the right reentry point. "I reinvested back in the oil business, and it's worked out really well for me," he told me the other day. "I bought Exxon (XOM, Fortune 500) stock under $75. I bought ConocoPhillips (COP, Fortune 500) under $68. I bought Pioneer Natural Resources (PXD) under $50. I bought BP (BP). I bought Statoil. I made a big bet on the sector. I bought a lot of stocks back." Considering Rainwater's incredible track record investing in the oil patch, that's big news. Rainwater first made his reputation by greatly multiplying the Texas oil fortune of the Bass brothers of Fort Worth, with big bets on everything from the resurrection of Disney to the boom in cell phones. After going out on his own in 1986, he made bundles for himself in hospitals (by putting together HCA) and real estate (by forming Crescent Real Estate Equities). Then, in 1997, when crude was priced below $20 per barrel, he decided to make a huge bet on oil. He put $100 million into stocks and $200 million into oil futures. The wager netted him billions in profits. As Time's Justin Fox reported in early June, Rainwater made the decision to close out his oil bet when the average price of gasoline passed $4 a gallon in the U.S. (and after he saw a reader poll on the Motley Fool Web site in which 77% of respondents said they were cutting down on gasoline consumption). "I missed the very top by a lot," Rainwater told me. "That's okay. I'm always early. I sold after I got my first inclination that we had a problem with the demand side in America. I saw that we had a problem with the demand side and I sold out. But the stocks kept going up. And the price of oil kept going up. It went from $129 to $147 [on July 11]. But then it went from $147 back down to under $100, and that's when I bought back in." Indeed, Rainwater is just as convinced as ever that oil prices are going higher in the long term. As he made clear in a Fortune story three years ago ("The Rainwater Prophecy") he believes that the world is facing a future shaped by scarce natural resources. His decision to sell out in May was based on a belief that oil prices had gone too far too fast, not that the bull market for oil - or for that matter, commodities of all kinds - has ended. "I think we'll have a run on raw materials of all kinds because we've taught people all around the world how to play capitalism," he says, "and all those people want to live like Americans. But when you look at us being [4.5%] of the population and using 25% of the resource base, that can't go on. You can't extrapolate that out around the globe without there being price pressures on the upside. So there are price pressures in food. 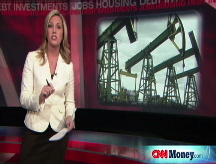 There are price pressures on raw materials of all kinds, including oil." So with crude at around $100 and most of the stock market in chaos, he says oil companies look like a pretty good place for your money: "It's much more positive than the rest of the environment." Given the volatility of the market right now, though, Rainwater is monitoring his new stock holdings closely. "I've already sold some of them," he told me. "Not all of them, but I sold some because they went way back up. I'm just playing cycles here, and the cycles are really powerful and fast moving. I bought ConocoPhillips for $68 and sold it two days later for $78. I don't think you can make that money in that short of a time unless you get lucky. And if I make that much money because I'm lucky, then I want out." Rainwater may be lucky. But when it comes to oil, his instincts are more than good.